El Salvador. Another country in Central America whose very name takes you straight back to the conflicts of the 1980s. Even today, some 30 years later, it’s guaranteed that when you tell someone you’re going to El Salvador, you’re going to get the side eye. Or get told how crazy you are. Like so much of Central America, El Salvador’s bad rep is in name only. The war is long over. And although crime is a problem – there’s no getting around that – the vast majority of it is gang related. It tends to take places in parts of San Salvador that you’ll never see unless you’re asking for trouble. In short, El Salvador (always “El” Salvador, never “Salvador”) is exactly what you make it out to be. If you make it out to be a gorgeous, beautiful country full of unspoiled beaches, verdant mountains, coffee plantations, and quaint colonial towns, then that is exactly what it is. It is the smallest country in Central America. More than likely, it’s also the least known by foreigners. Outside of the international surfers who have long flocked to La Libertad, NGO workers, and business travelers, few come here. As much as El Salvador would like to open itself up to international tourism, that has not happened yet. At least on a large scale. So if you come here as a foreigner, you’re more than likely to have much of it to yourself. Make the most of it while it lasts. Of all the countries in Central America, El Salvador receives the most money in remittances sent by Salvadorans working abroad. It’s estimated that one in three Salvadoran households receive remittance money from family abroad. Remittance money counts for over 17 percent of El Salvador’s GDP. 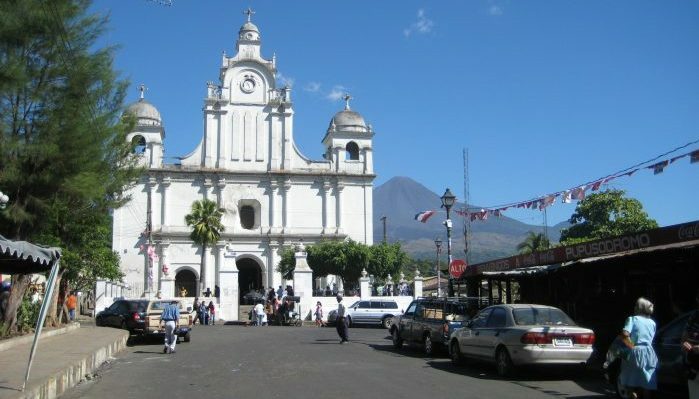 Despite being the smallest country in Central America, El Salvador has the highest population density. This has been a key factor in of many of El Salvador’s problems as overcrowding had led to poverty and conflict. Indeed, the 1969 war between El Salvador and Honduras, called “the Football War” in the mistaken belief that it was fought over a disputed soccer match, was actually about Salvadoran settlers spilling into Honduras. San Salvador, El Salvador’s capital city has the largest shopping mall in Central America. El Salvador’s latest nickname, “The 45-Minute Country, comes from its small size. It’s a play on the fact that you are around 45 minutes from San Salvador, wherever you are in the country. It’s an exaggeration, of course. But not much of one. The song “Bullet The Blue Sky” from Irish rock group U2’s 1987 album “The Joshua Tree” was about the civil war in El Salvador that was raging at the time. Lead singer Bono asked guitarist The Edge to “make El Salvador pour through the amps”. As a result, he created one of the best guitar solos in the history of the band.